Advanced Armament recently announced the debut of the company’s first suppressor developed exclusively for hunting, the Jaeger 30. Moreover, AAC designed the suppressor to work with .300 Win. Mag., .308 Win. and 300 BLK. The AAC Jaeger 30 utilizes a Grade 9 Titanium mount and blast baffle. Meanwhile AAC machines the outer tube and monolithic core from 7075 T6 aluminum. The black anodized Titanium mount in the suppressor’s strongest component, according to AAC. This part carries the serial number and data panel as well. The suppressor utilizes 5/8-24 threads, making it compatible with most .30-caliber hunting rifles on the market. Also, Advanced Armament finished the entire tube and monocore with a Type 3 hardcoat anodizing in OD Green. 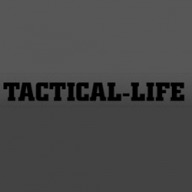 For more information, visit advanced-armament.com. The post WATCH: Advanced Armament Debuts Jaeger 30 Hunting Suppressor appeared first on Tactical Life Gun Magazine: Gun News and Gun Reviews.